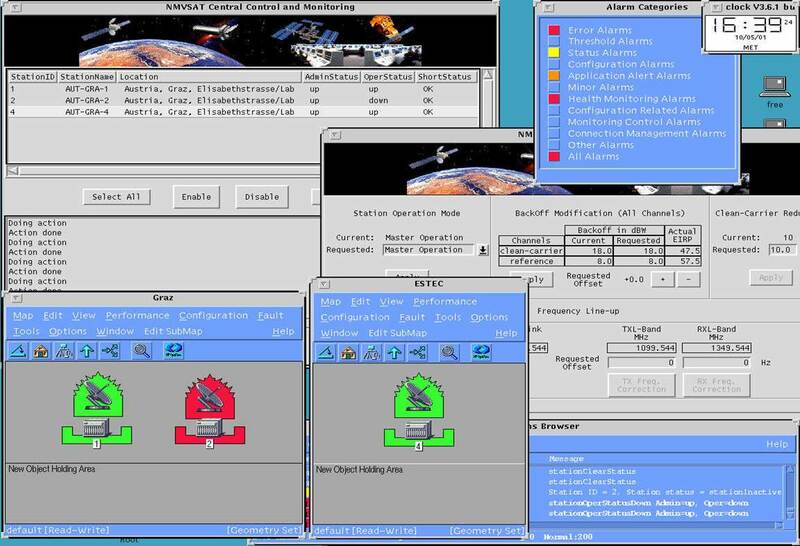 to implement 3 Satellite Dedicated Applications: The Centralised Control and Monitoring Functions (CCMF) Application, the System Line-up Application and the ELAN Manager Application. The goal of the CCMF Application is to allow an operator to manage the status of each stations in a VSAT network. 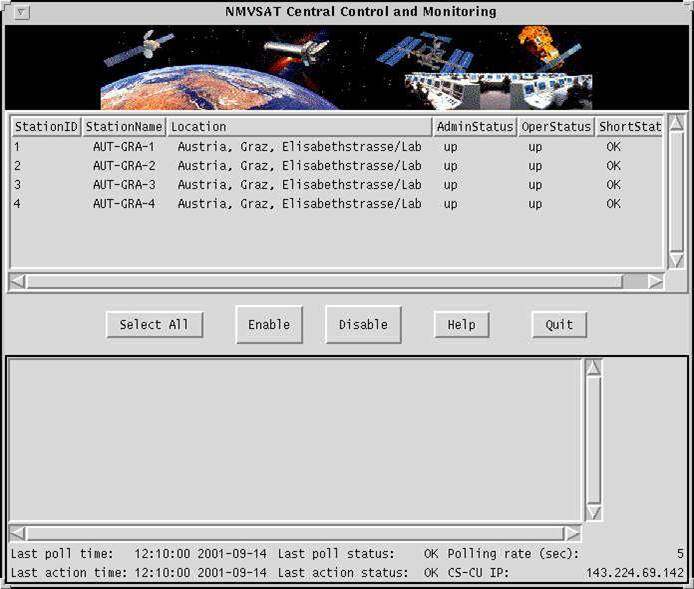 The operator has an access to the Master Station ("Central Station" or "Control Station") of the VSAT network, and can - using this application - manage the administrative status of each station. 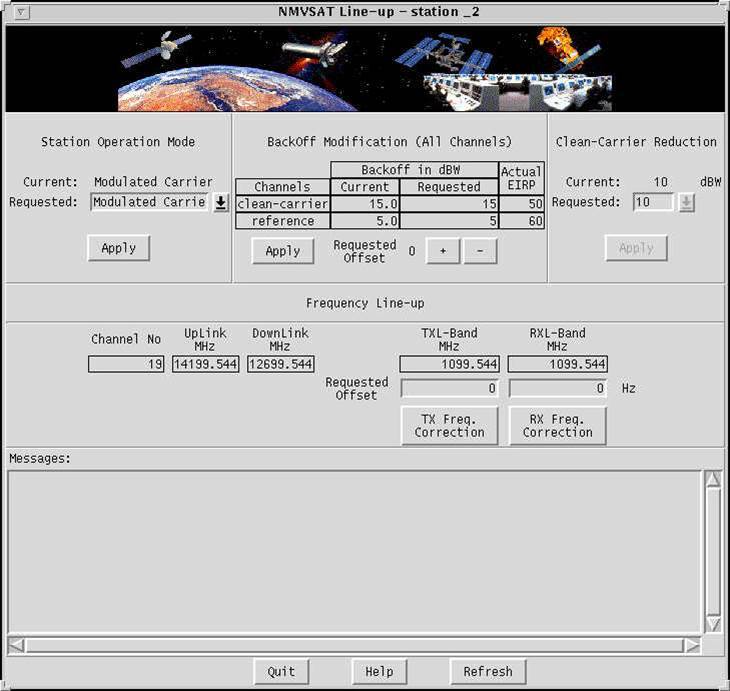 The Line-up Application assists the Satellite Station Operator in adjusting values of the VSAT Station transmission - such as the transmission power and channel frequencies - in order to achieve the required QoS but at the same time, not introducing the interference with other users of the transponder. 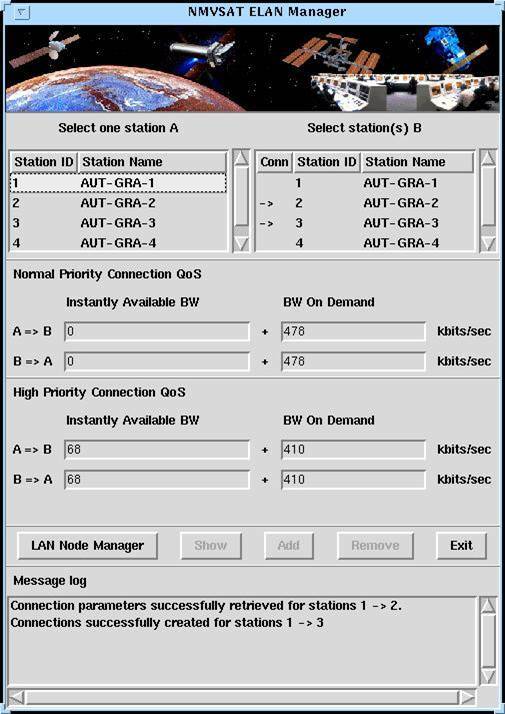 The ELAN Manager Application is an advanced Graphical User Interface, allowing the Satellite Station Operator to establish or remove end-user channels. The GUI provides an elegant mean to define channels, according the Quality of Service classes and parameters the Operator desires. These classes and parameters include CBR, nrt-VBR, UBR (ABR), Sustainable Cell Rate, Peak Cell Rate, Maximum Burst Size and several other, and can be defined for TX and RX traffic separately.